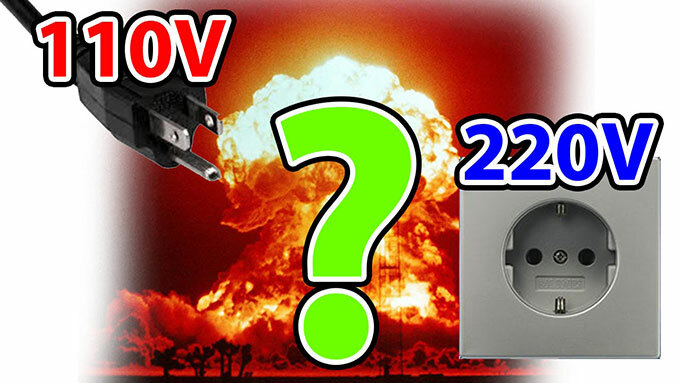 Home » FAQ » How to Choose and Use Travel Voltage Converter? How to Choose and Use Travel Voltage Converter? First check your electrical appliance specification mark, if it is written INPUT: AC 100-250V or 100V-240V or 110V-220V, and so on. 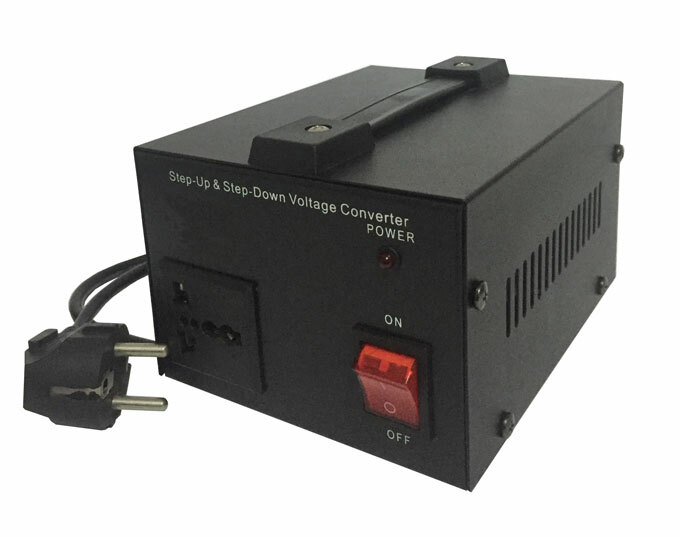 These types of electrical appliances have their own function of automatic voltage rectifier, you only need to buy a conversion plug and you can use it all around the world. In general, go abroad will bring some electrical appliances, such as: mobile phones, digital cameras, battery chargers, laptops, travel hair dryer, etc. All these have such a sign. Hair dryer needs a special check, because cheaper hair dryer may not support to 220V, there are some non-original cell phone charger may also not support. These need to be checked in advance. To carefully select the voltage converter, do not buy a sub-high and low frequency converter, otherwise you electrical appliances can be all burned. In April this year during the spring break, I went Seoul, Korea for a five days tour. I bought a voltage converter and an adapter. The seller told me that this converter is suitable for travelers around the world. But, on the first night I went to Seoul, after I plug my new hair dryer to the converter, the hair dryer is working, but the sound is a bit weird. Later, the hair dryer started smoking. The converter part of the contact with the plug also sparks. In the first night, the converter is burned and broken, and my camera, cell phone and other appliances all cannot be charged. 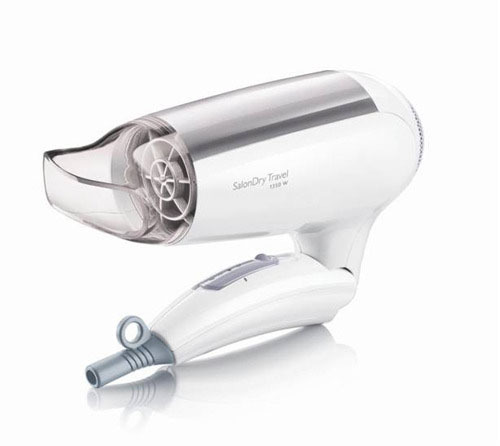 Usually, the hair dryer is a high power appliance, so it needs higher wattage to drive. Most of the electric appliances have obvious label or mark showing the rated power, such as 5000W (5KW), 20W and 35W. If there is not a mark, you can calculate yourself, for example: voltage 110V, current 2A, then the value of watts is 110V*2A=220W. It is the same way to other electronic products, such as: voltage 5V, current 0.5A (some will write 500mA), then its wattage is 5V*0.5A=2.5W. We usually heard about wire burned because of over watts. You can calculate the total power of your appliances, for example: Three electrical products inserted, namely 1500W, 60W and 200W, put it together will be 1500W+60W+200W=1760W. 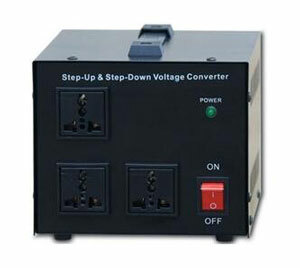 It can be used in a 2000W voltage converter. However, it is better not to be too close to the total power, a voltage converter with high watt value will be much safer. But the safest is not to use too many appliances in the same time on the same converter.